This is a sponsored conversation written by me on behalf of Tide PODS at Walmart. The opinions and text are mine. 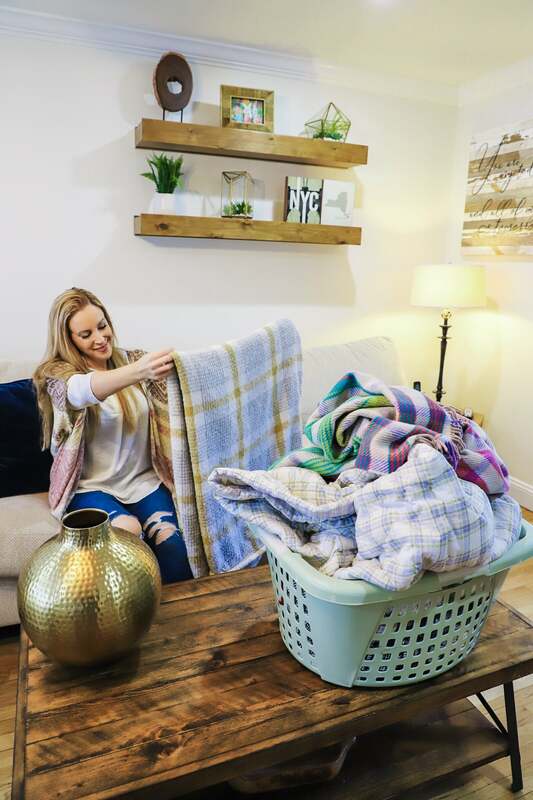 Doing laundry for a family of five can sometimes be a challenge – especially considering we always seem to be so busy these days. Young kids will do that to you, right? And thank goodness for that! I love all their sports games and their chess games and their dance practices. Their schedule brings me such joy. Whenever I see our children going after their dreams, it just fills me whole! But life isn’t all about race meets and tutus. There’s plenty of maintenance that has to happen in order to keep this fine-tuned machine rolling. Laundry is one of those beasts that I have to make sure to tackle on a regular basis. Otherwise, it will simply take over my life. How do I start? With Tide PODS – specifically, Tide PODS Ultra OXI Laundry Detergent. If you are looking for laundry tips to help you stay on track, you’ve come to the right place. As you know, my husband and I are both work-at-home parents. We try our hardest to share parental and household duties. We also make it a point to try to get the children involved as often as we can. It would be impossible for me to work the hours that I do and then have to tend to the house entirely on my own. Thank goodness my family understands. To get through our chores as quickly as possible, we use tools that are on our side. Tide PODS Ultra OXI clean our clothes the right way the FIRST time. I don’t have to worry about presoaking or rewashing with Tide PODS. This means that when I am finally ready to tackle the chore of laundry, I only have to tackle it once. You probably know about Tide PODS. But did you know they’re not just liquid detergent in a pac? 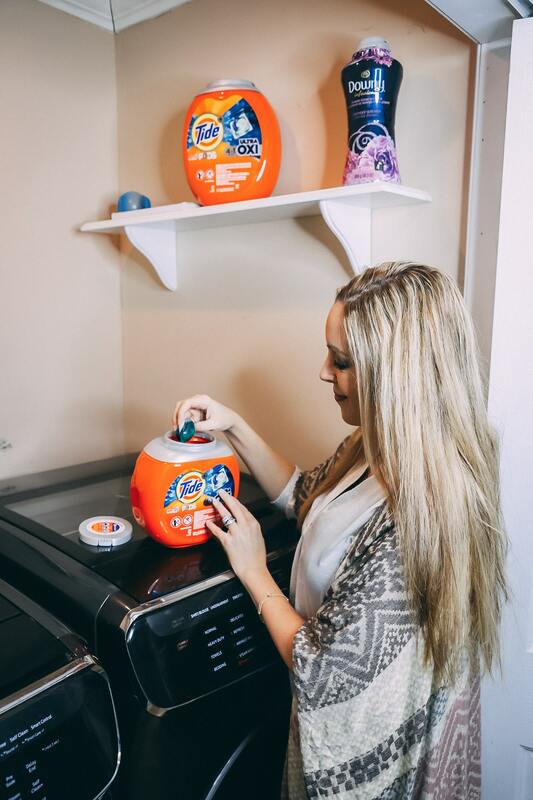 The new improved Tide PODS have a 4-in-1 breakthrough laundry solution with concentrated Tide detergent, extra odor fighters, extra stain fighters, and built-in pre-treaters, giving you more bang for your buck. They work in both HE and standard washing machines and they are SO EASY to use. And now, they have a new Clean Dissolve film that dissolves more completely in both hot and cold water. 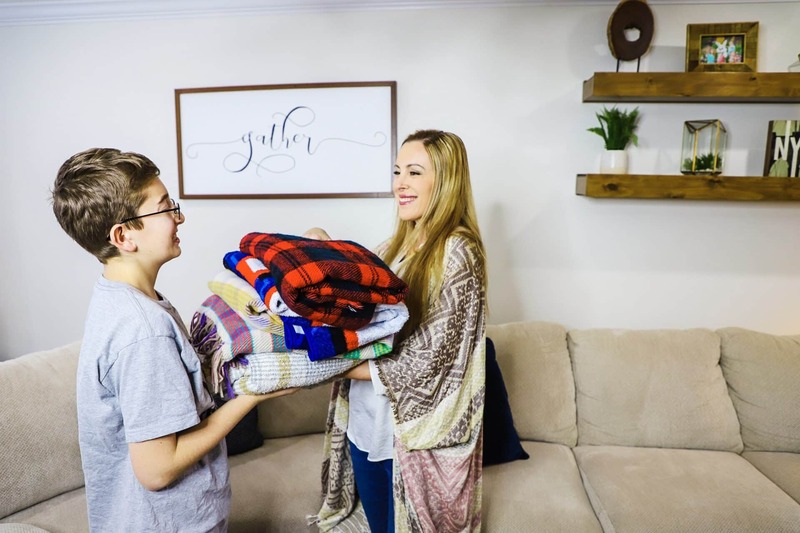 If you are looking for ways to make laundry feel a little bit less like a chore and more like a family activity, I have some tips for you guys! If you can’t stand the thought of washing one more load of clothes, I am here for you. My laundry tips for large families will help you save time and money. Don’t wait for the laundry to start overflowing. Try to do at least 1-2 loads a day. I know this might sound like a lot for a small family or a recently married couple. But I have three children and a dog. Believe me when I say that 1-2 loads a day is FAIR PLAY. Tide PODS are formulated to work with quick laundry cycle settings, so you can cut down the time it takes to do your laundry each day. Long gone are the days of spending the entire afternoon tending to laundry. The PODS also work well in cold. And thank goodness for that because we have sheets and towels and sports and after-school activities and our regular clothes and a DOG! Have I mentioned my dog? Oy! Fold while you are doing something you love. I literally catch up on Netflix and Hulu and Amazon Prime and anything else that I can get my hands on while I fold laundry. Multi-task, but do it with a treat. If you need to have a certain day for laundry, schedule it in. I know plenty of friends that use Sunday for laundry because they know that they will be home for the majority of the day. Do that if you think it will work for you. Personally, this doesn’t work for me because we go through too many clothes during an average week. But, if you think you can get it all done in one day, then go for it. Make your dryer ring and ring and ring. Set your dryer to continuously ring and remind you that there are clothes inside, otherwise you will forget all about it. My dryer is absolutely annoying and I love it for it. Do laundry by ROOM. Please do not start doing laundry by choosing all red items and throwing them in together. You will be there forever at the end of the day. I do laundry one room at a time because when it is done, that person can go and put it away. Keep it separated by PERSON. Clean with cold water – it saves money. As I’ve mentioned, Tide PODS work great in cold water and in the quick cycle! They really are a great option. Rewear your clothes if they aren’t dirty. Isn’t this an incredible thought? I don’t wash my jeans after every wash. That would be insane! I wear jeans a few times before I wash them. Get into that habit and save yourself some time and money. If you want to get really fancy, you could give each person in your house their own laundry day. That would create some sort of order and it would also guarantee that a load was being washed once a day. Actually, I like this thought a lot! I might start doing this!! Don’t overload the washer. I know you are trying to be efficient, but what ends up happening is your dryer will need more than one go around to dry. WHICH IS A WASTE OF TIME. I’m talking to my husband, by the way. He does this all the time and then complains that our dryer is broken. I’m like… no… you just stuffed an elephant in there! Get your children involved – see below. I hang everything. My kids hate me for it, but I’m just being honest here. I HANG EVERYTHING. Shirts, t-shirts, button-downs, cardigans, sweatshirts, hoodies – whatever goes on your upper body is HUNG UP. The only thing that belongs in your drawers are pajamas, underwear, socks, and pants. So, I don’t have to worry much about folding shirts and wrinkles because if my children are listening to me – everything is hung UP. This also makes it easier for them to find what they want. Looking to save more time any time? Be sure to pick up your PODS at Walmart because they have great everyday low prices. You can even order them online! I do most of my shopping online these days as it makes my life that much easier! Looking to stock up on some Tide PODS right now? No problem! Just click the button next to the product below! Then you can have it shipped directly to your door (free with a $35 minimum order), or schedule a time to pick up your order at your nearest store for free. This really saves me time and energy! Keep Tide PODS out of reach of children. When They Are Young (around 2-3) – The children can help sort for socks once the laundry is done and the clothes are clean. Odds are at this stage, they won’t be helping much… but the point is to really get them used to participate. At this young age, children should not be anywhere near laundry detergent or supplies. Keep these type of products out of reach, high, and away from curious hands at all times. When They Are Pre-Schoolers – The children can separate their clothes into piles once the laundry is done. You can decide whether or not you want them to actually put the clothes away in their drawers. It won’t be neat, but it will be done. When They Are Elementary Aged – From about the 2nd grade on, your children should be able to sort, fold, and put away their clothing all on their own. This includes hanging up items in their closet. As soon as the laundry is done, they should be able to take the basket to their room and put all their clothes away. It is possible. I promise you. You have to allow them to do it with mistakes a few times before they will get it right. When They Are In Middle School – At this point, your child should be helping out with all younger sibling laundry. So, if there is anything that needs to be put away for baby brother, older brother gets the job. When They Are Young Teens – When your child is a teen, he/she should help with laundry from start to finish. They should be able to recognize that their hamper is full and that it’s time to do a load. They should be able to follow measurement instructions and move the wet clothes from the washer over to the dryer once the bell rings. Because we want to make our kids’ lives easier, we turn to Tide PODS. If it is a regular load, they only need to use one pod. If it an oversized load, the children know they need to put two or three Tide PODS into our washer. The instructions are simple enough. My teenager actually enjoys doing laundry with Tide PODS and I don’t blame her. There’s no fuss and no mess! How Many Tide PODS Should I Use? When doing laundry, add two Tide PODS pacs into the washing machine drum before you add clothes. Use 1 laundry pac for smaller loads or 2-3 for larger loads. What Types Of Washing Machines Can I Use Tide PODS In? You can use Tide PODS in any washing machines – even HE machines. 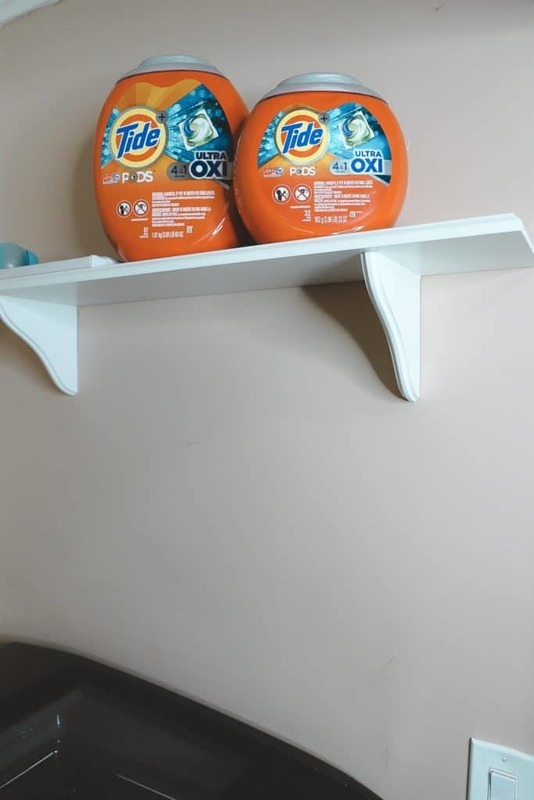 Since Tide PODS are pre-measured, you don’t need to pour messy powdered or liquid detergents. Simply place the pac at the back of the drum before adding clothes. Do Tide PODS Ultra OXI work on both whites and colors? Yes, Tide PODS Ultra OXI have been thoroughly tested on all sorts of laundry conditions and are safe for both whites and colors. If you were looking for laundry tips for busy families, I hope you found it here! Will you be heading to Walmart to save big on Tide PODS Ultra OXI Laundry Detergent?